die mit knapp 80 Minuten eine der längsten Episoden dieses Podcasts ist. In genau 2 Monaten startet das ShareCamp 2012 – das große Community Event in diesem Jahr. Das ist ein Thema heute und natürlich gebe ich auch die Gewinner der Preise aus der letzten Episode bekannt. This is the Bonus Track of the English Week @ SharePointPodcast.de with experts interviews recorded at the European SharePoint Conference 2011 in Berlin. Today we have two guests in the show. 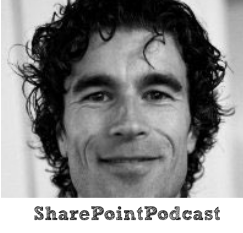 Wilco Turnhout is responsible for marketing and sales at Attini Software. Attini extends SharePoint’s out of box social features with the Attini Social Suite, a collection of enhanced SharePoint templates for blogs, talk, video, news, and more. Wes Bryan is a Senior Product Manager at bambooSolutions. 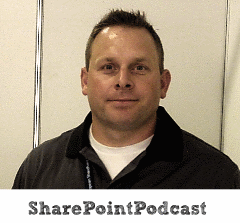 Bamboo offers a wide variety of add-ons, tools, webparts, and solution suites for SharePoint. 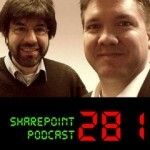 Nach der European SharePoint Conference 2011 in Berlin.